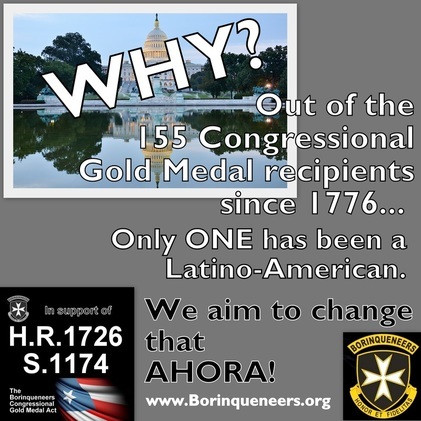 Borinqueneers Congressional Gold Medal Alliance - Bienvenidos! 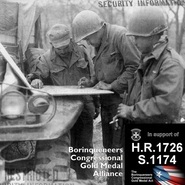 Borinqueneers Congressional Gold Medal Alliance is a grass-roots national, non-partisan, all-volunteer group of individuals & organizations dedicated to obtaining the well-merited Congressional Gold Medal for the only active-duty segregated Latino military unit in US history, the 65th Infantry Regiment Borinqueneers! ​Subscribe to our newsletter to receive the latest updates, news, information on the 65th Infantry Regiment and its Veterans around the nation. 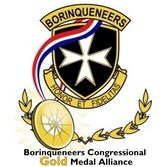 Congratulations to the Borinqueneers for the Congressional Gold Medal Unveiling Ceremony Presentation! 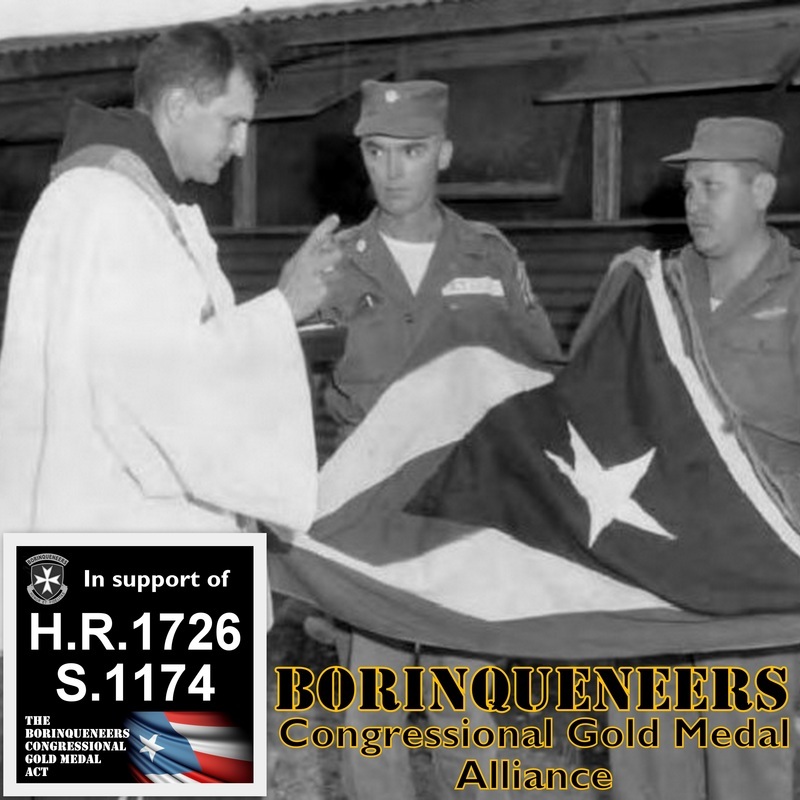 Watch the videotaped Borinqueneers Congressional Gold Medal Ceremony this Wednesday, April 13th, at the Capitol Visitor's Center, Washington D.C.
We extend our sincerest gratitude to all those who made this accomplishment a historic reality. 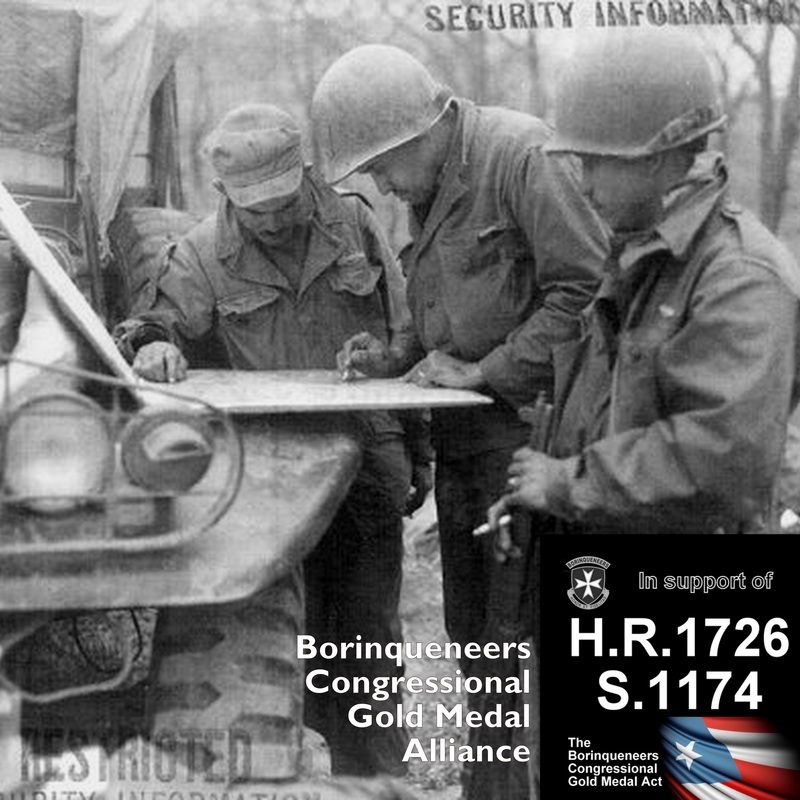 Order your Borinqueneers bronze medal replica from the U.S. Mint. Order your ﻿black presentation case﻿ to showcase your bronze medal replica. Click image below. How do I know if my family member participated with the 65th Infantry Regiment? If your family needs assistance in requesting and/or reviewing military records, please contact us. 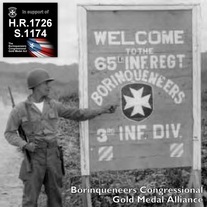 Click Here for: 2016 Borinqueneers "Year in Review"
﻿65th Infantry CGM MISSION ACCOMPLISHED!!!! 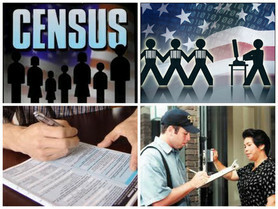 Click visual for LIVING Veteran Census! We need your help in seeking information on our LIVING 65th Infantry Veterans. We need to capture as many 65th Infantry ﻿LIVING Veterans ﻿as possible. If you are a 65th Infantry Veteran or know of one, please contact us to record this information. See details here. 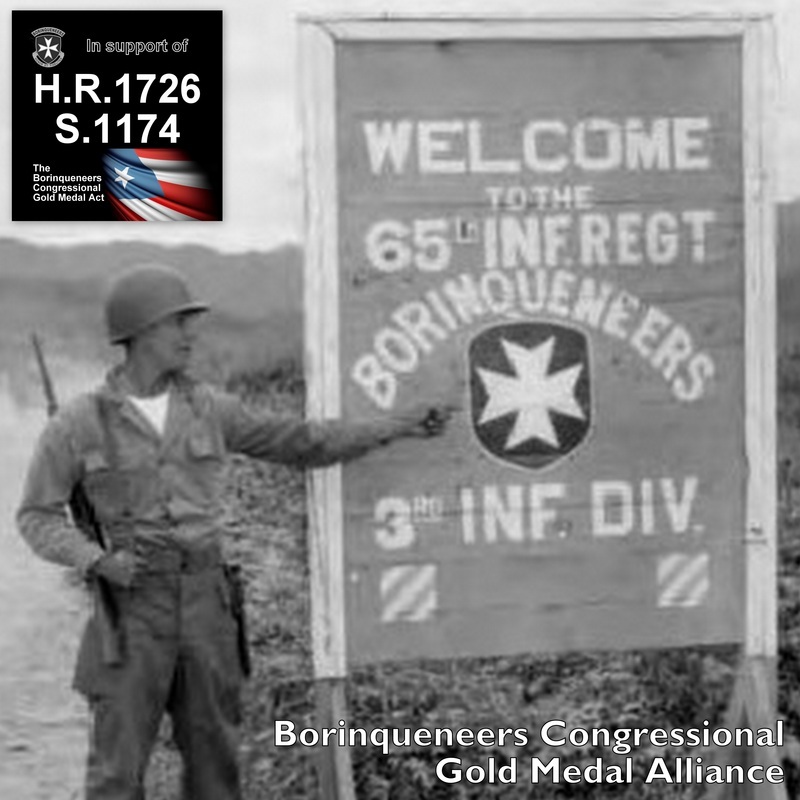 ﻿NOTE OF CLARIFICATION:﻿ The Congressional Gold Medal intends to honor ALL those who fought with and in support of the 65th Infantry Regiment since the unit's inception. However, for ﻿ACTIVITY/EVENT RELATED﻿, AND STATISTICAL﻿ purposes, we are only capturing information on LIVING 65th Infantry Veterans. 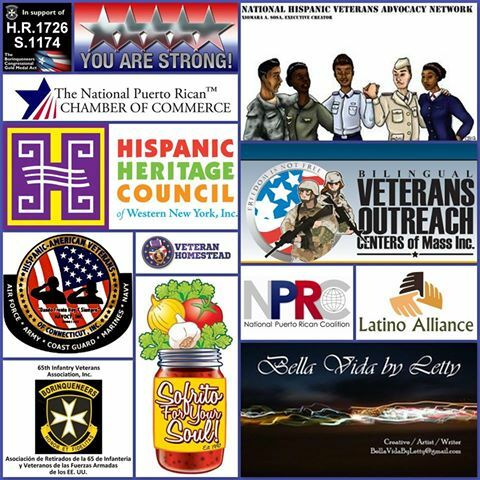 27th Annual Hispanic Heritage Awards "Special Recognition" Tribute to the Borinqueneers, Sep. 18, 2014, Washington D.C.
Muchas Gracias to the sponsors of the 65th Infantry CGM Bill Signing Event!!!! 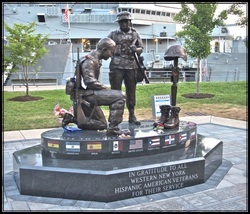 Buffalo, NY - Hispanic American Veterans Memorial. A Tribute to the 65th Infantry is part of the monument. 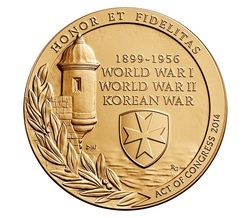 See our video promoting the Congressional Gold Medal for the 65th Inf. Reg. Borinqueneers!!! 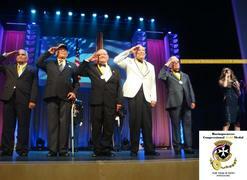 Tuskegee Airmen Congressional Gold Medal Ceremony! 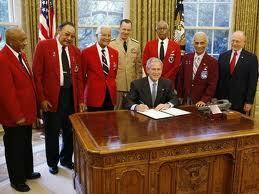 The Tuskegee Airmen (first African-American military pilots) Congressional Gold Medal presentation ceremony in Washington D.C., in 2007. 1st Company of native "Porto Ricans" enlisted in 1899. 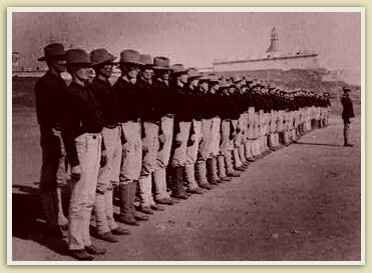 As mandated by Congress in 1899, the 65th Infantry Regiment from Puerto Rico was established. 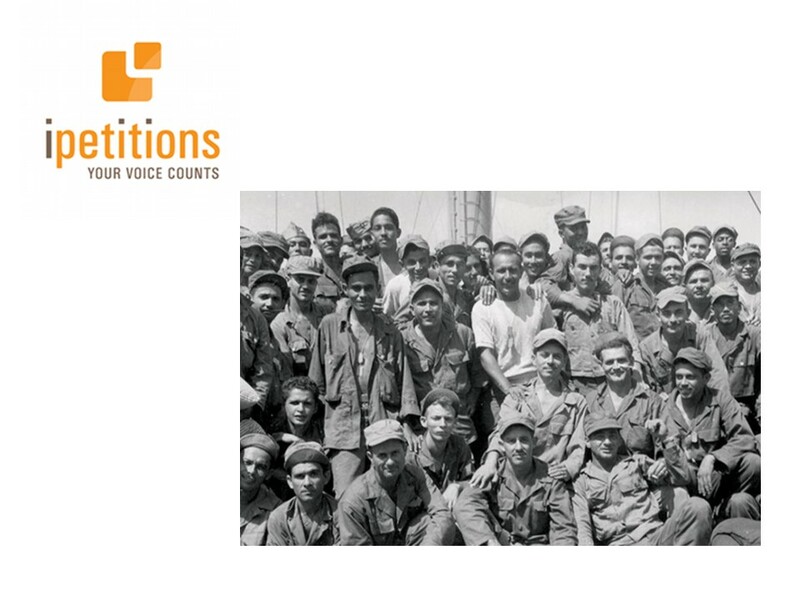 It was the the largest, longest-standing, & only active-duty segregated Latino military unit in US history. 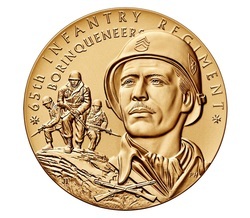 The Borinqueneers played a prominent role in World War I, World War II, and particularly the Korean War. The 65th Infantry Regiment performed many remarkable military accomplishments despite the additional burdens of segregation and prejudice. We do not want these sacrifices and their valor to be forgotten. Ever. Click here to see the Executive Summary of our great Cause: Snapshot of OUR Cause! 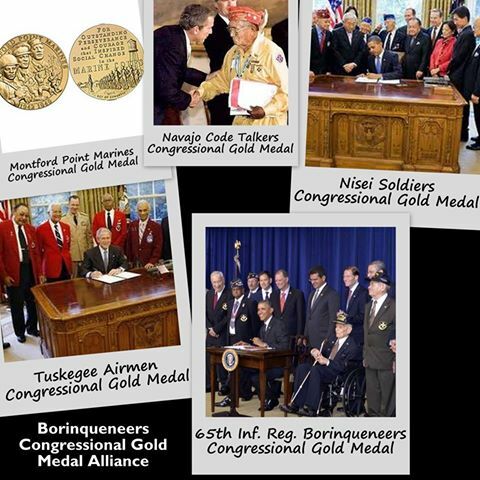 What is the Congressional Gold Medal? 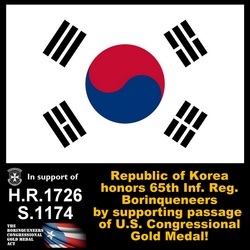 A Congressional Gold Medal is an award bestowed by the United States Congress and is, along with the Presidential Medal of Freedom, the highest civilian award in the US. It is awarded to persons "who have performed an achievement that has an impact on American history and culture that is likely to be recognized as a major achievement in the recipient's field long after the achievement. 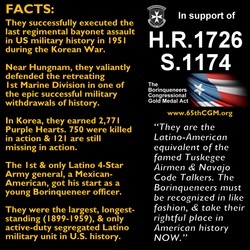 The Congressional Gold Medal is not to be confused with the Congressional Medal of Honor (strictly a military award). Congress authorizes the fabrication of ONE GOLD MEDAL. The U.S. Mint will then sell bronze gold medal replicas to the general public. 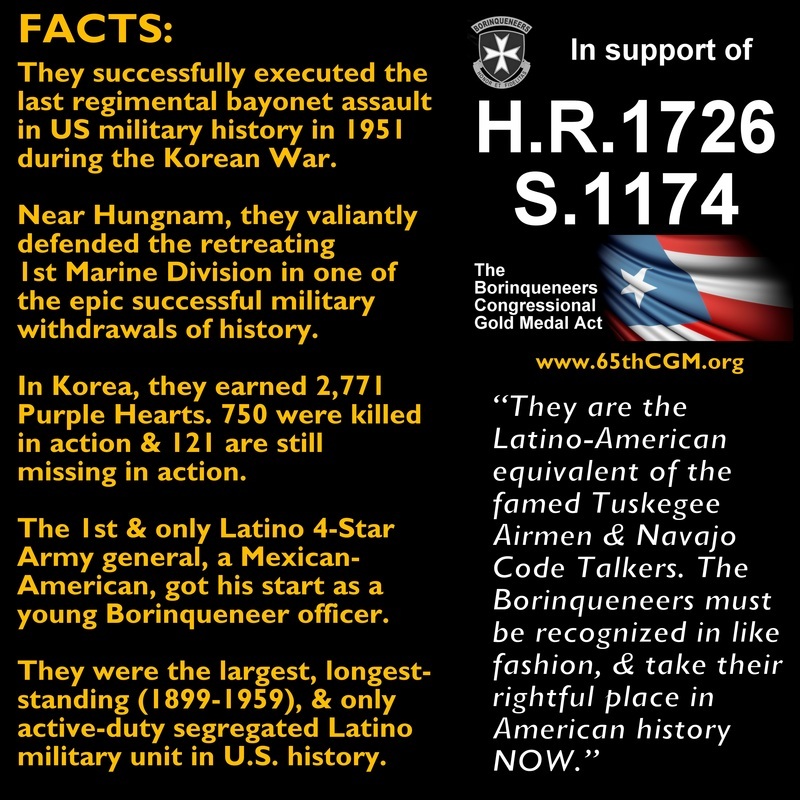 The Congressional Gold Medal will be the Highest Award EVER bestowed to Latino Veterans. 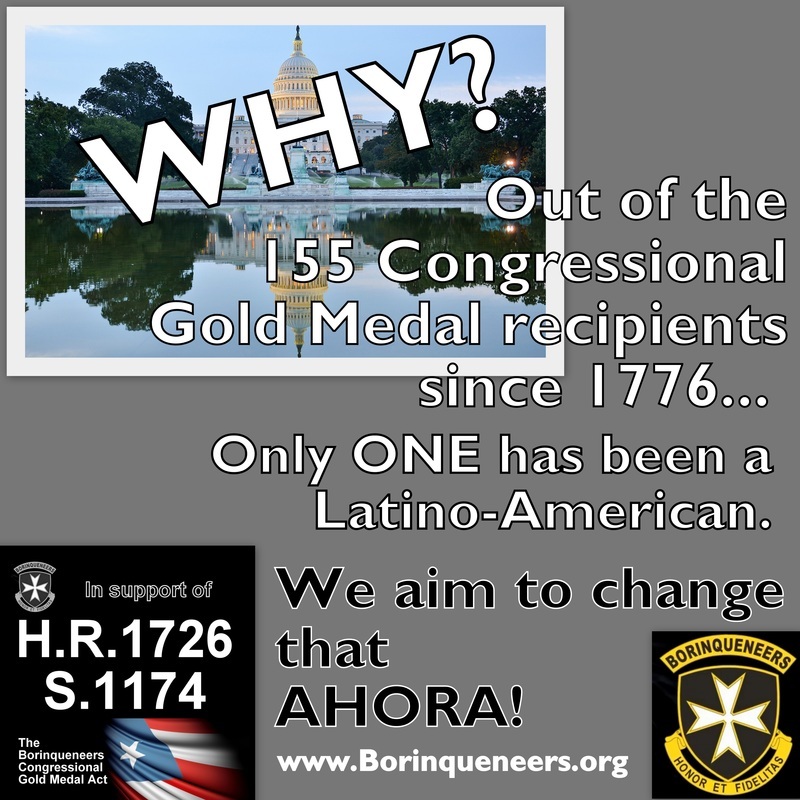 Of the 160+ Congressional Gold Medals bestowed since 1776, ONLY ONE OTHER has been awarded to a Latino-American. That recipient was Baseball Hall-of-Famer Roberto Clemente who died 40 years ago in 1973. 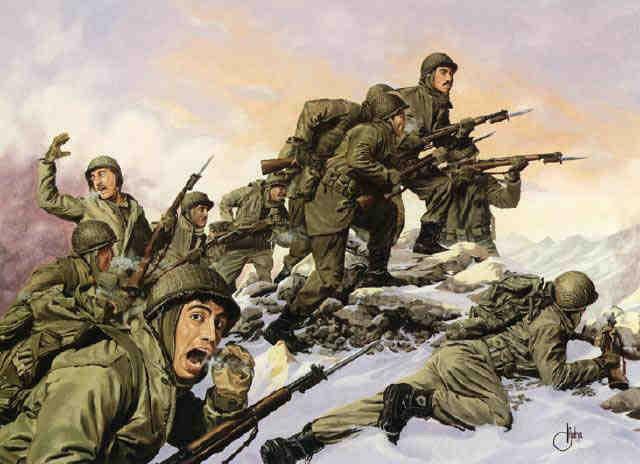 The US Army commissioned this now famous painting of the Borinqueneers' bayonet assault. 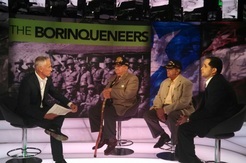 The Borinqueneers are credited with the last regimental bayonet assault in US Army history. In early 1951 while fighting in Korea, two battalions of the 65th fixed bayonets and charged straight up hill toward the enemy, over running them and overtaking the enemy’s strategic position. At left, a chaplain blesses a new flag being held by 65th Inf. Reg. Borinqueneers Col. Carlos Betances Ramirez & MSG Angel J. Rivera on August 23, 1952, in Korea. Col. Betances Ramirez (Las Delicias, Cabo Rojo) was the only Puerto Rican officer to have commanded an Infantry Battalion in the Korean War. A jibaro, he started his military career as an enlisted man. He was awarded the Bronze Star, Purple Heart, & other medals. Click "WHY?" visual to enlarge! Click on Republic of Korea visual to enlarge! 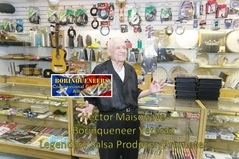 CLICK PHOTO TO ENLARGE Hector Maisonave is a Borinqueneer veteran and legendary Salsa/Latin Music producer and promoter. He has worked with Fania All-Stars, Hector Lavoe, La India, and many other Latino music stars. Read the article linked below about his illustrious music career below. 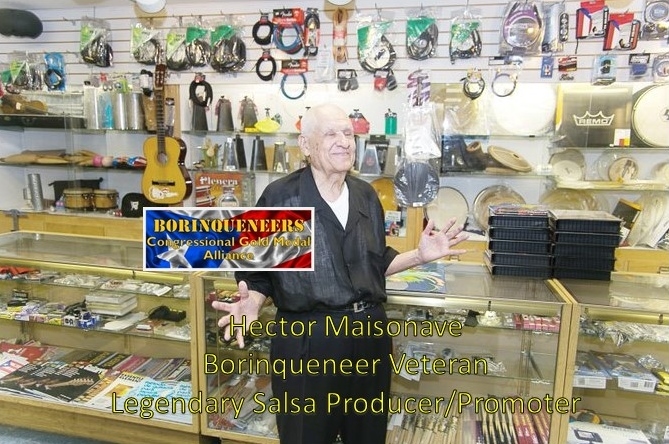 El Sol: Hector Maisonave: Orgullo Boricua, August 22, 2014. Some of our National Supporters! Click on visual to enlarge! Your tax-deductible charitable contributions are ESSENTIAL to offset the administrative and promotional expenses necessary to advocate and advance this historic endeavor. Your contribution can be as little as $1, $2, $5, but please, open up your CORAZON (HEART)! Your generosity will help make groundbreaking history for our Borinqueneers and all Hispanic Veterans alike!!! See Borinqueneers CGM Alliance's YouTube Channel! 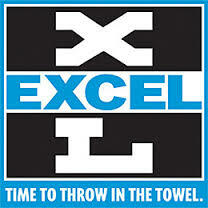 We are looking for candidates nationwide to be on our national executive committee. If you think you may want to invest your time & talent, come aboard the Alliance, and let us know: Contact Us! On Fusion's "AMERICA with Jorge Ramos"! Click to see interview!